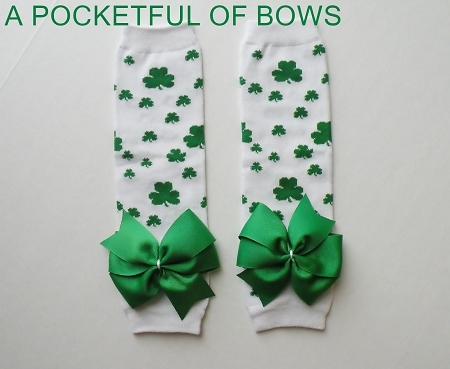 Cute baby leg warmers with fun shamrock pattern. 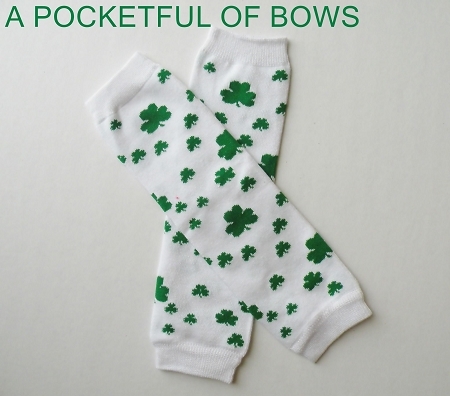 Leg warmer fit babies full length, toddlers above the knees, and girls below the knees. Check out the matching kelly green tutu skirt also available!